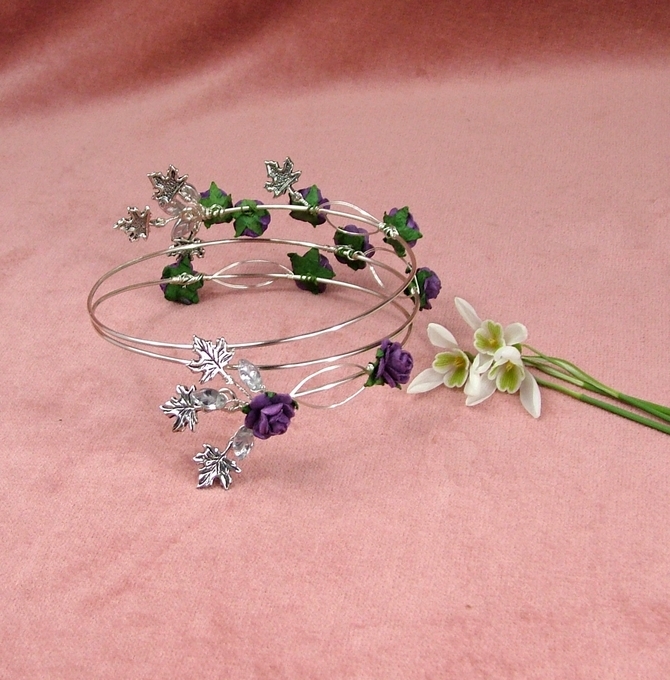 Silver arm bracelet with purple roses and silver maple leaves on a non tarnish silver wire. 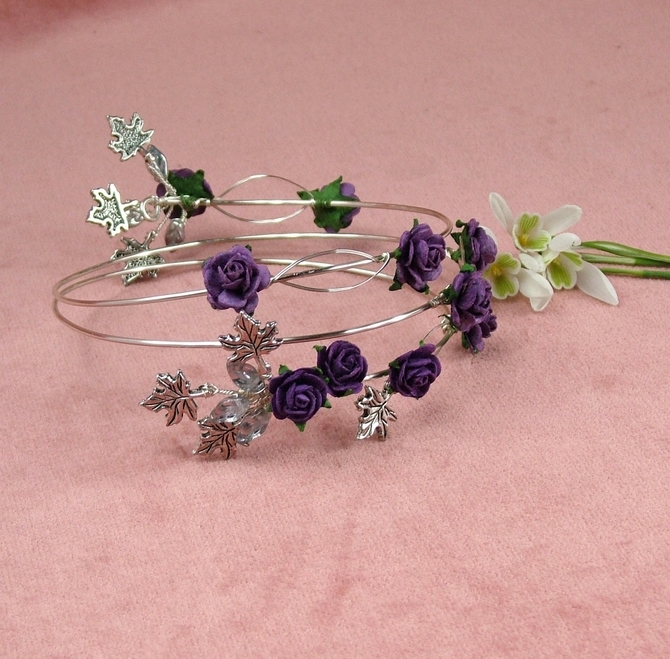 This bracelet is very light to wear and easy to adjust to the size of your arm. Simply put your hand through the wire and glide up your arm. You can choose to wear it above your elbow or on your forearm. 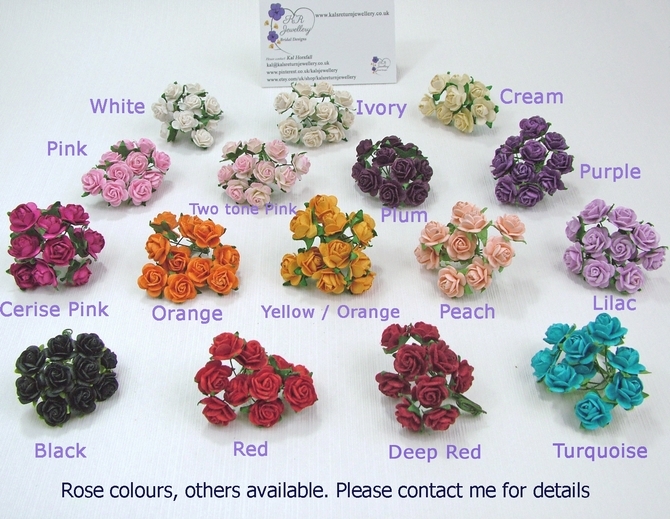 I have a full choice of rose colours. If you don't see the colour you're looking for in the image above, just contact me and I can order your exact choice. Available in gold wire if you prefer. Please contact me and I will reply within 24 hours. FREE UK postage and Worldwide delivery.
" Very pleased and good value for money. 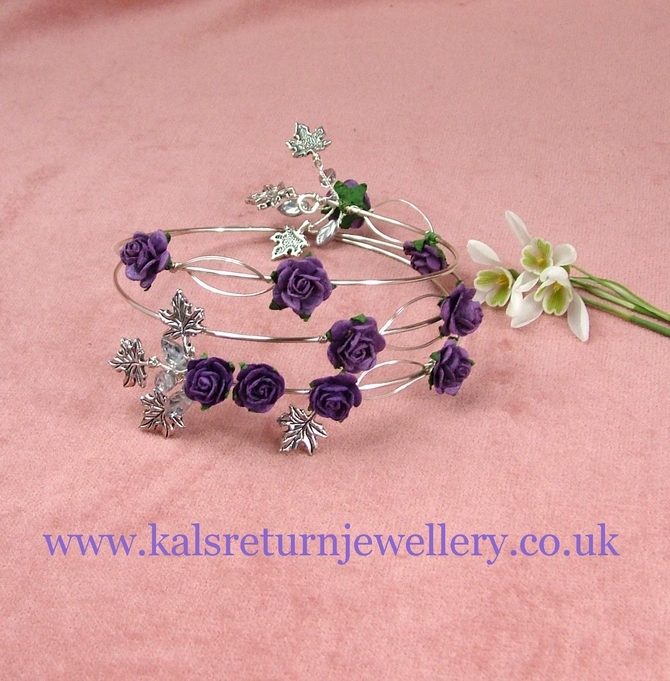 It looks really lovely in my hair thanks to Kal who was very helpfull "
" There was an issue with a Paypal payment and Kal's Return Jewellery were really good and communication was excellent "
" The hair vine looks exactly like the picture on your website and your customer service is excellent keeping us informed throughout. " 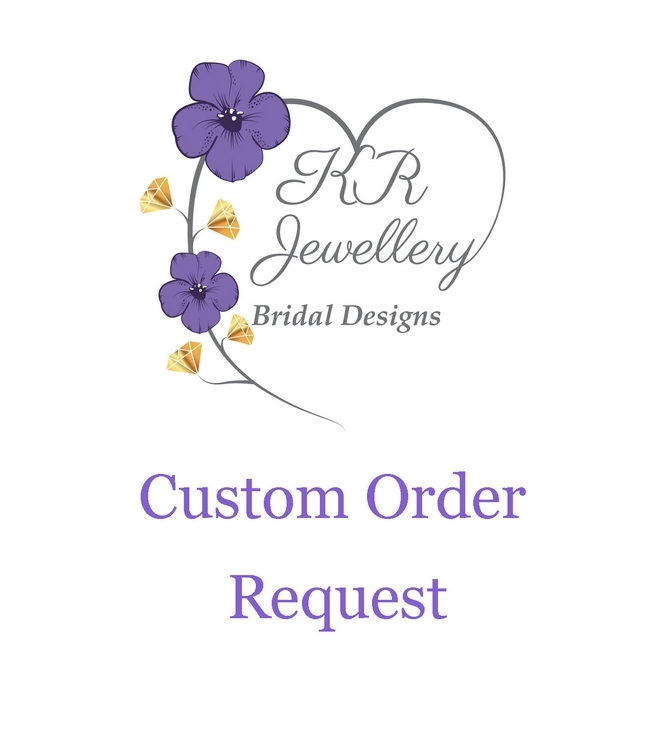 " Fantastic items, exactly what I wanted, the colours and design were perfect for my needs and looked amazing. "